I had the privilege to attend the Sydney Safety Conference as a corporate partner of the Safety Institute of Australia (SIA) held at Sydney Olympic Park from 23 – 25 October 2012. The conference featured leading health and safety professionals speaking on the latest developments in Workplace Health and Safety from around Australia and abroad. The three day conference covered a number of important safety topics with a direct bearing on the hospitality and leisure industries in Australia. Did you know that on average 250 workers in Australia die from an injury sustained at work each year? A staggering statistic like this is just one key driver behind the new Australian Work Health and Safety Strategy 2012 – 2022 (the Australian Strategy). The Australian Strategy promotes the vision of healthy, safe and productive working lives by 2022. So how does the Australian Strategy affect your venue? We all know that implementing a Work Health and Safety program in your venue costs you time and money; but the real question is can you afford the alternative? We’re talking about fines, litigation, increased rates of injury, compensation claims, absenteeism or even reduced productivity. The accommodation and food services industries (encompassing clubs, pubs, hotels, and restaurants) have been identified among six broad industry groups as national priorities for prevention activities due to high numbers and rates of injury and/or fatalities. Prevention activities will include State Work Health and Safety Inspectors heading out to enforce Work Health and Safety legislation with the authority to issue notices, and in extreme cases, close down workplaces if they are deemed to be unsafe. 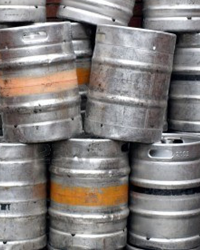 During a random inspection of your venue, the Safety Inspector has deemed your keg room as ‘unsafe’. Your venue did not have a CO2 detection monitor nor any policies or procedures for workers to be alerted to the possibility of a CO2 gas leak. A fatal mistake if there were indeed a gas leak! Furthermore, the maintenance program to maintain the gas system by the worker is irregular and the worker has had no training and deemed as ‘non-competent’. The Inspector issues you with a prohibition notice which shuts down your keg room until you satisfy their requirements. How much will shutting down your keg room for a day or two cost you? What impact would this have on your businesses reputation, and ultimately the bottom line? Let’s look at the more pressing issue – what if the Inspector never came around and you DID have a CO2 gas leak in your keg room? If your keg room caused serious harm to a worker due to the gas leak, the penalties under the new Work Health and Safety Act 2011 could be $600,000 and/or 5 years imprisonment for a Work Health Safety Officer and $300,000 and up to 5 years imprisonment for workers and other persons. What should hospitality businesses do? 2. Strengthen your current safety practices by implementing an Occupational Health & Safety Management System. Remember, the best defence is a good offence so don’t wait until an incident occurs or an Inspector pays you a visit to find out that you are managing an unsafe venue. If you would like more information on Sydney Safety Conference, the Australian Strategy, or Audits and Safety Management Systems for your venue please contact info@dws.net.au or call 07 3878 9355.